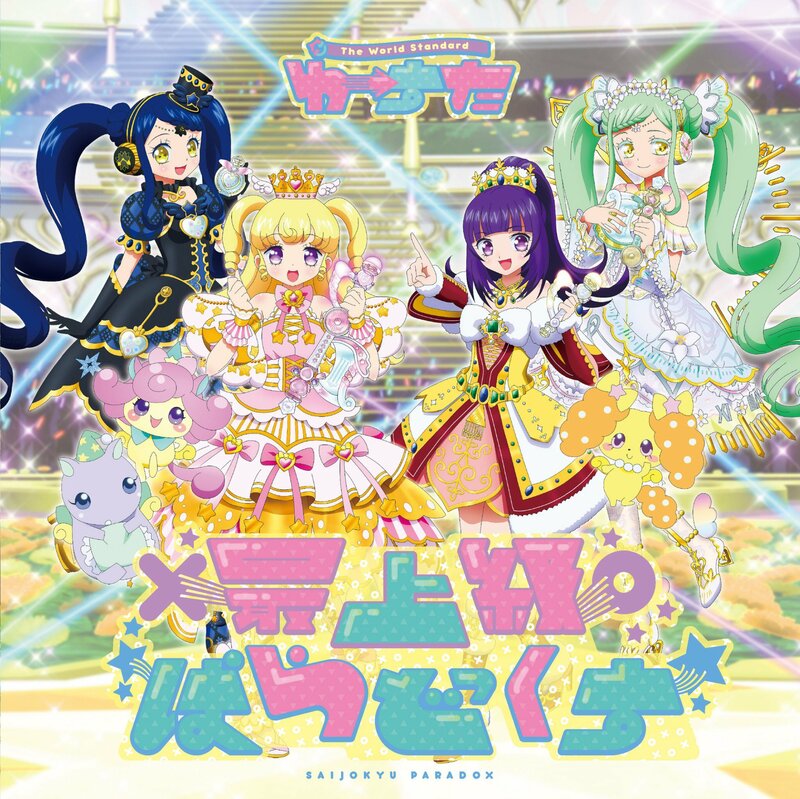 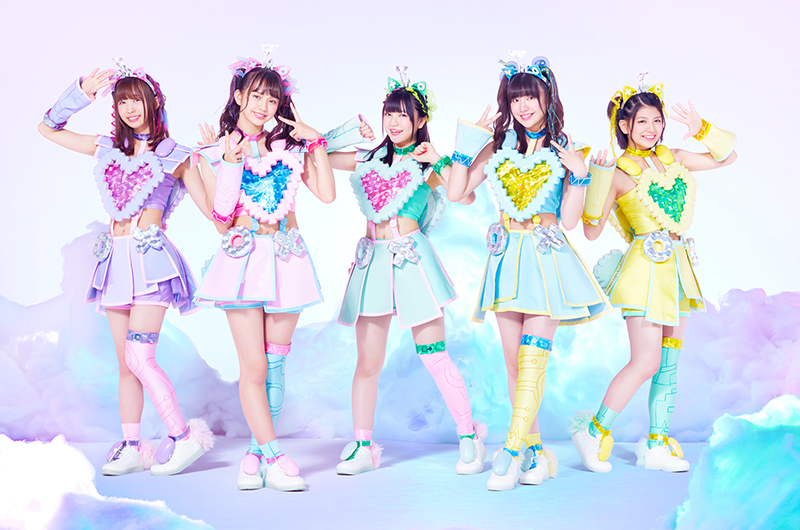 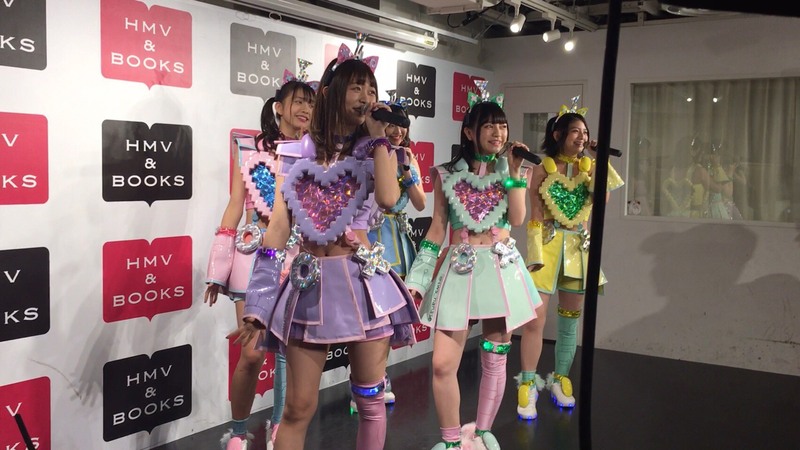 iDOL Street unit The World Standard (Wa-Suta) held a double-release event at HMV&Books in Shibuya on October 18, 2017, for their 4th single “Saijokyu Paradox” (theme from the arcade game “PriPara”/”Prism Paradise”) and their new 12-track album Paradox World, which includes a live concert Blu-ray from their April 2017 performance at Zepp Diver City Tokyo. 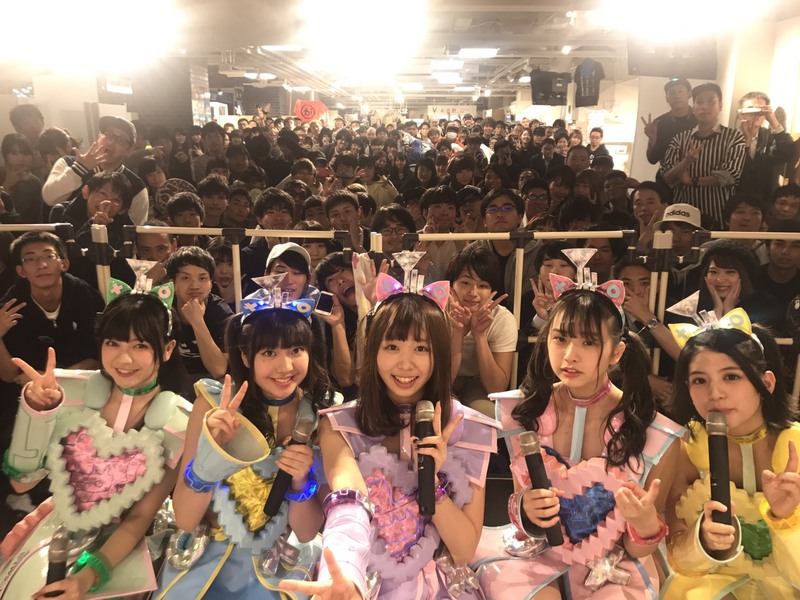 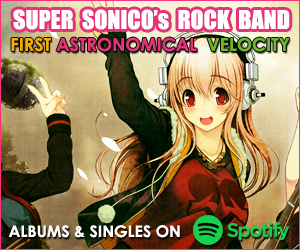 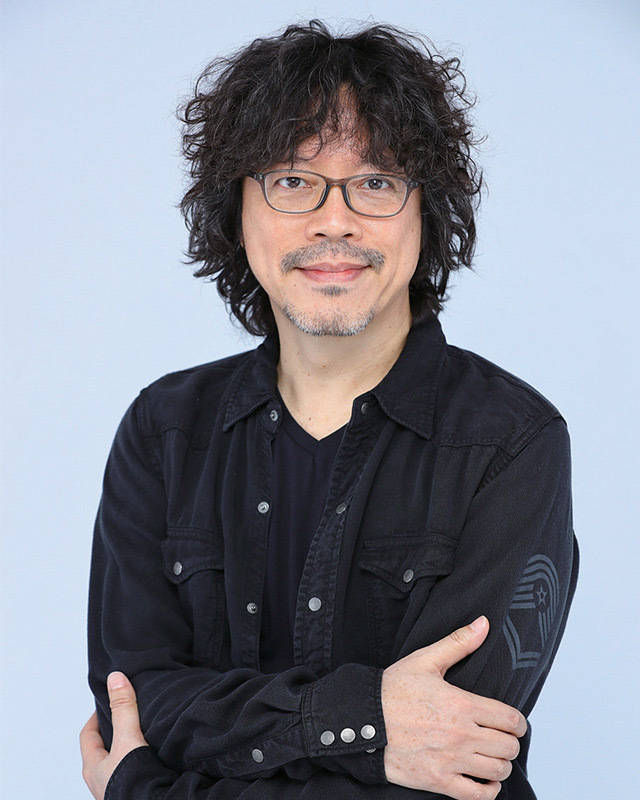 Wa-suta performed 2 songs in a brief live set before posing for photos with the long line of fans who packed the store’s 7th floor event space. 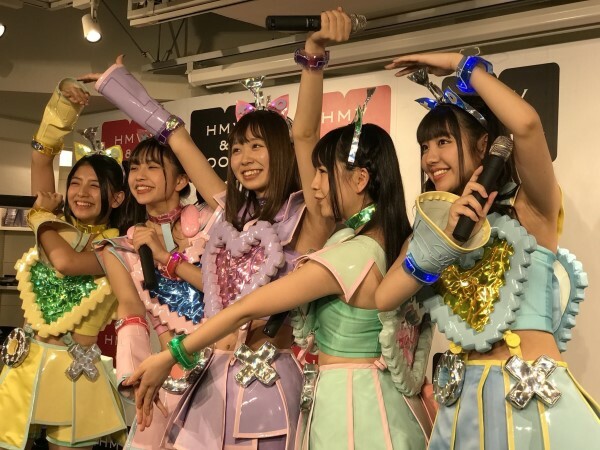 The girls also announced their new Instagram accounts, where they’ll share messages and photos about their upcoming activities.